The KONG Cozie is a soft and cuddly toy friend for your dog. It is not only very soft, but also very strong. The cuddly toy is available in moose version. The KONG Cozie is a soft and cuddly toy friend for your dog. 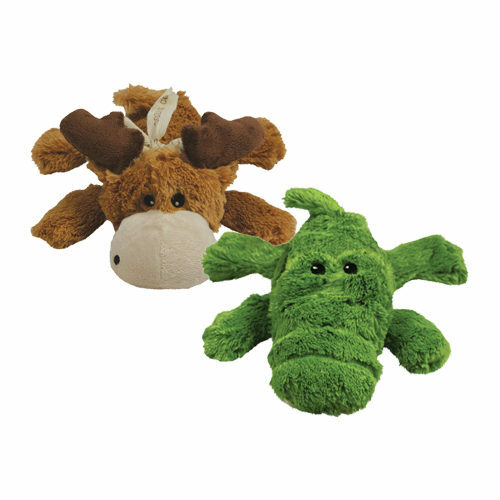 The soft toy in the shape of a moose is not just very soft but also extra strong; it is made of two layers of material. The squeaker challenges your dog to play. This not only makes the cuddly toy fun to cuddle up to, it also makes it suitable for fetching games. Have you used KONG Cozie before? Let us know what you think about this product.